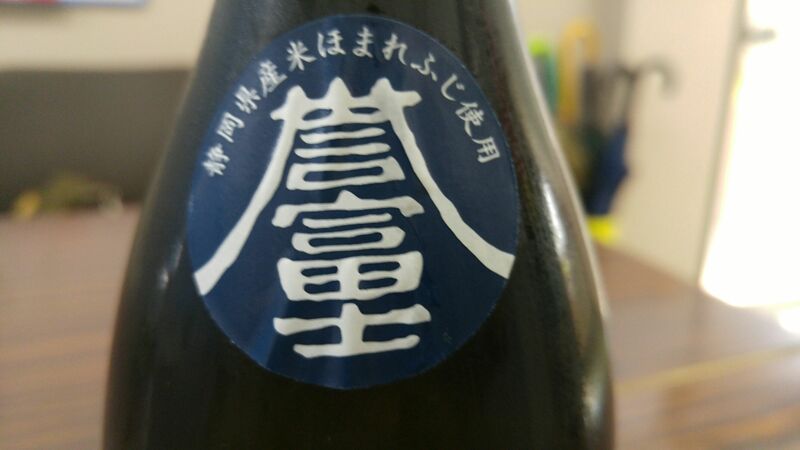 The other day, while shopping at Cenova Department Store I felt attracted by a old regular nectar by Sanwa Brewery in Shimizu Ku, Shizuoka City. 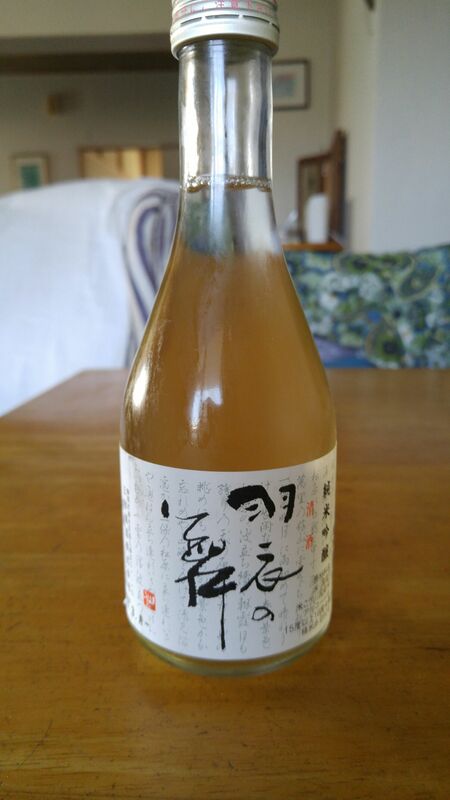 Being a 300ml bottle it is very practical for keeping chilled in the fridge in these increasingly warm days! 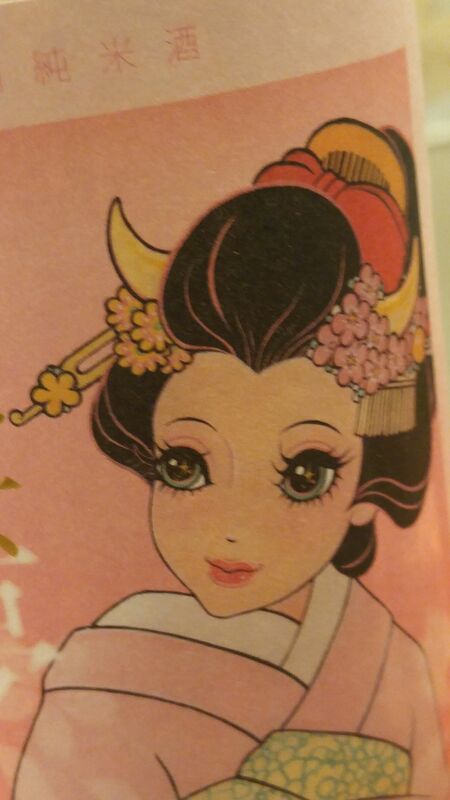 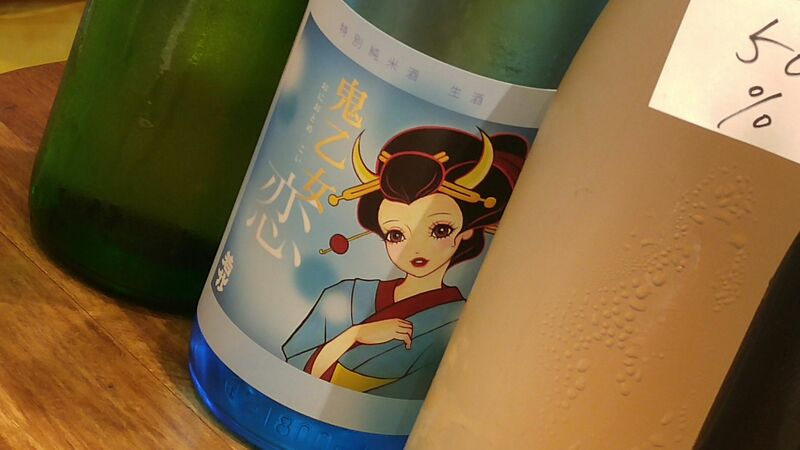 Although Sanwa Brewery is mostly known now for its Garyubai Label, Hagoromo no Mai/The Light Veil Dance in commemoration of a famous legend occurring on Miho Beach in Shimizu Ku, is still produced after many years of existence. 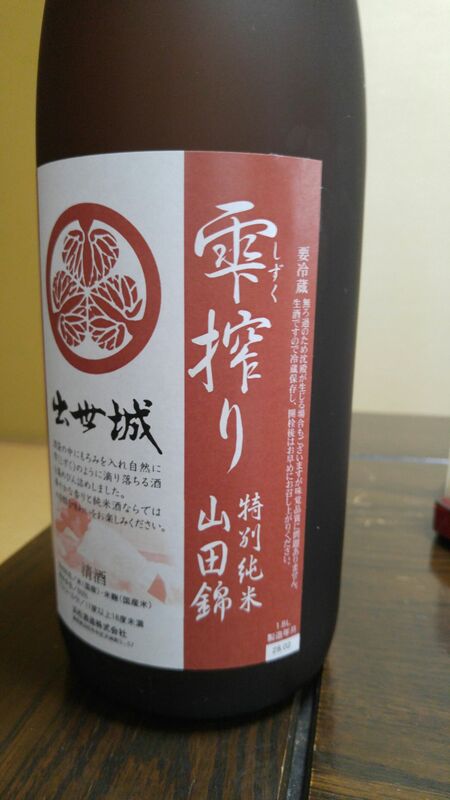 It is completely different from the Garyubbai labels and I thought it was time to taste this year’s nectar! 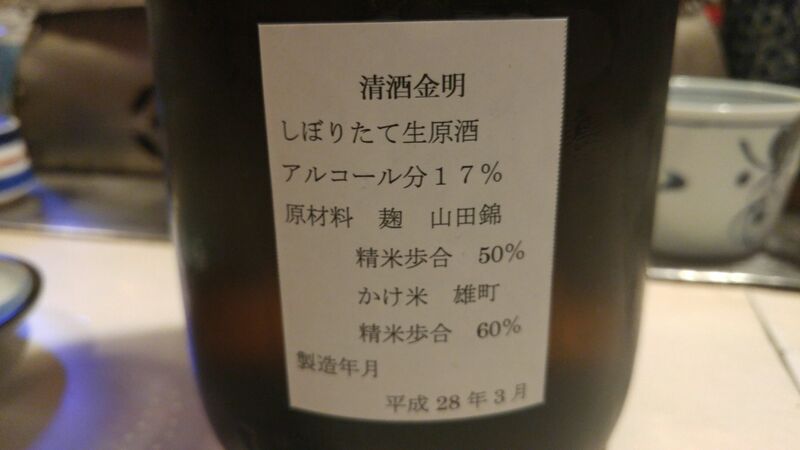 Aroma: Assertive, dry and fruity. 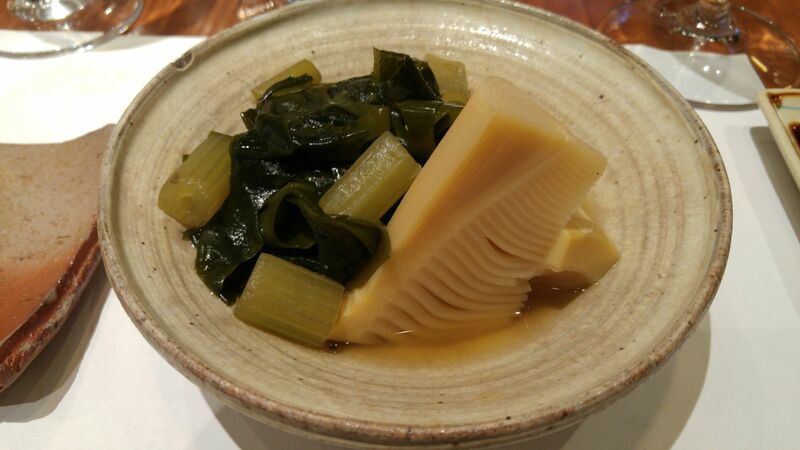 Pineapple, custard. 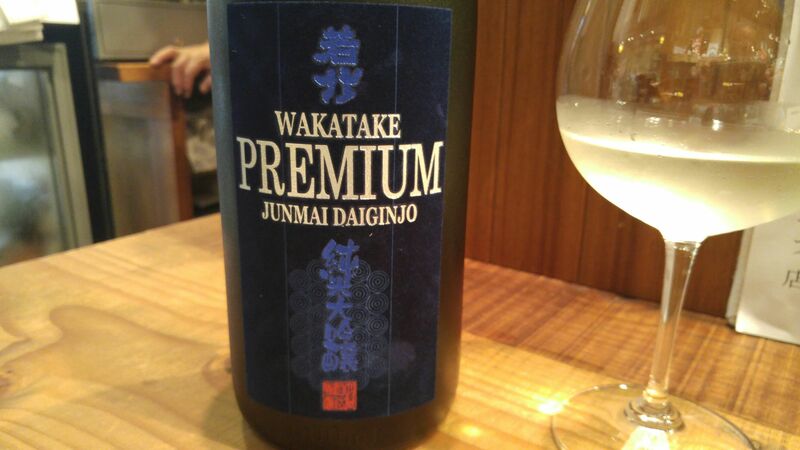 Taste: very dry and strong attack backed with puissant junmai petillant. 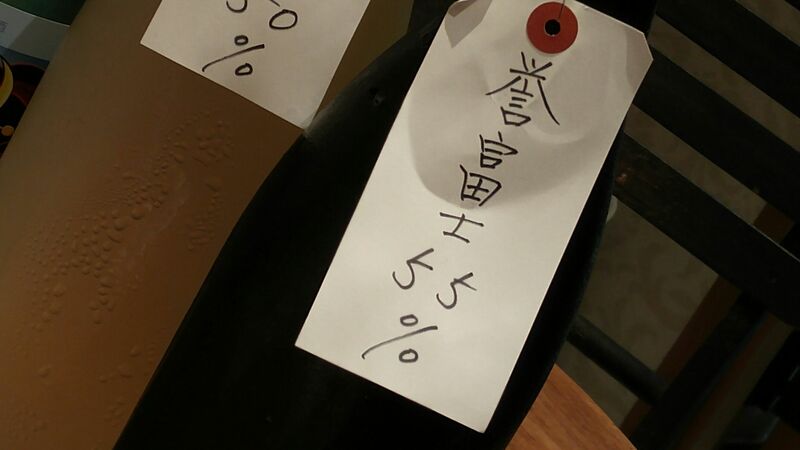 Complex: coffee beans, almonds, faint oranges. 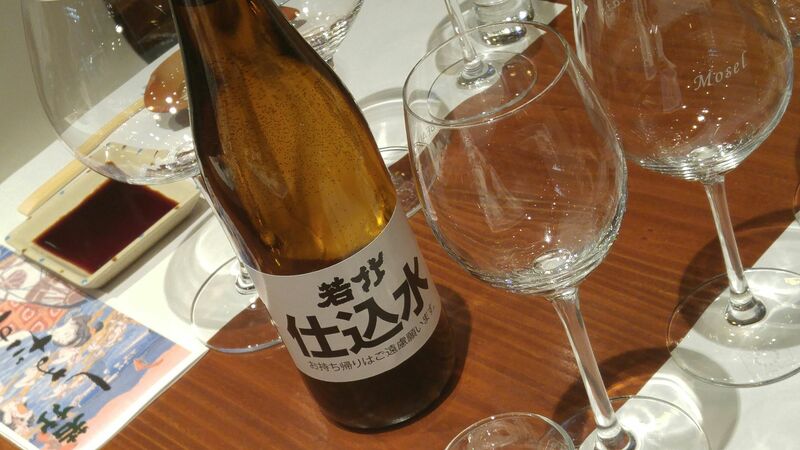 Lingers for a short while on the palate before departing on dry notes of smoked almonds and walnuts. 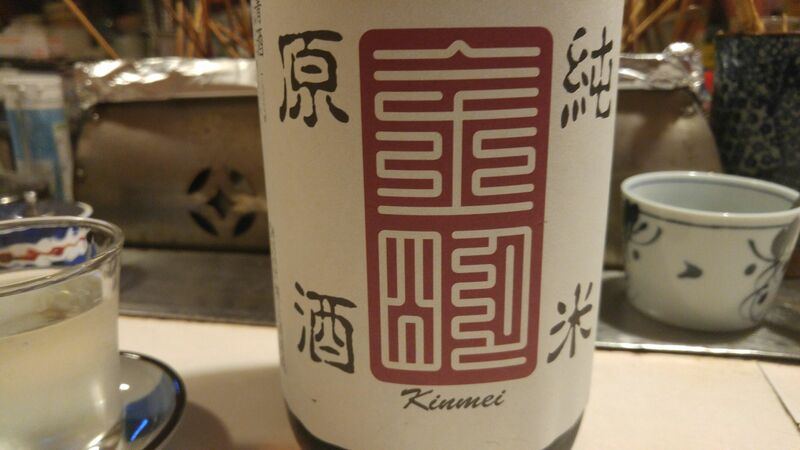 Takes an even drier turn with food with strong notes of smoked nuts. 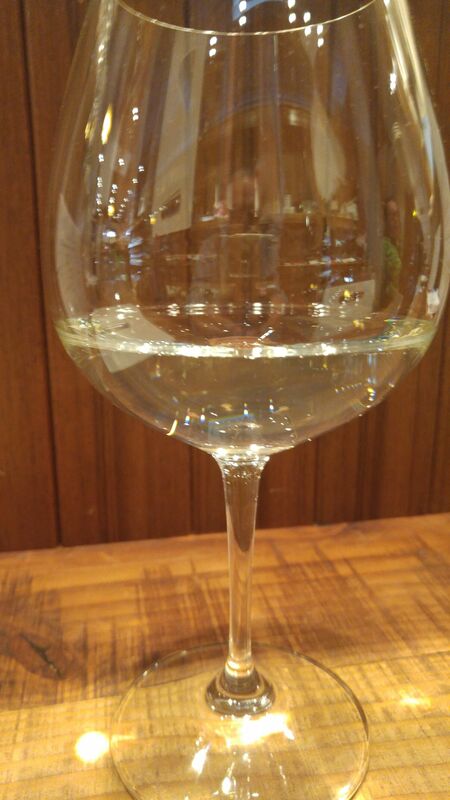 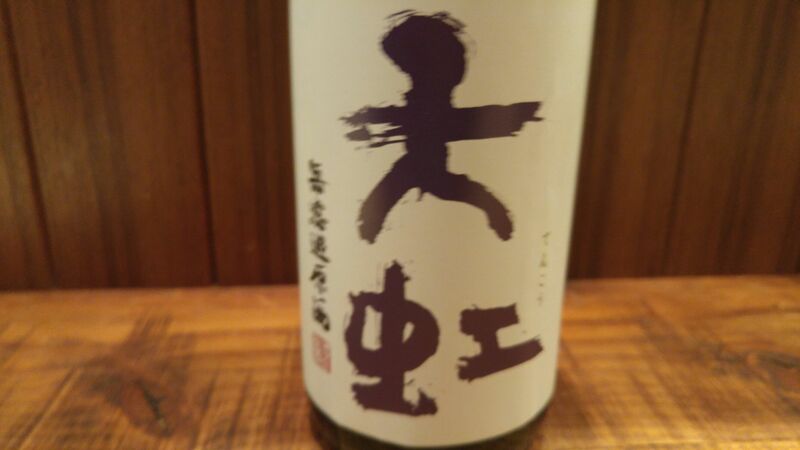 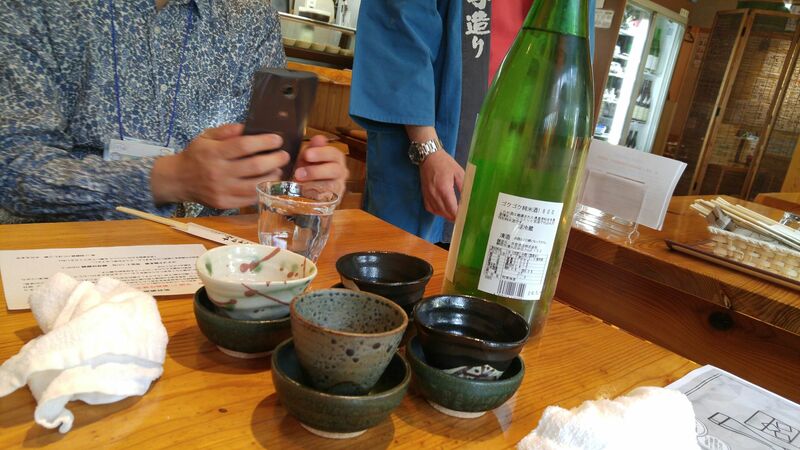 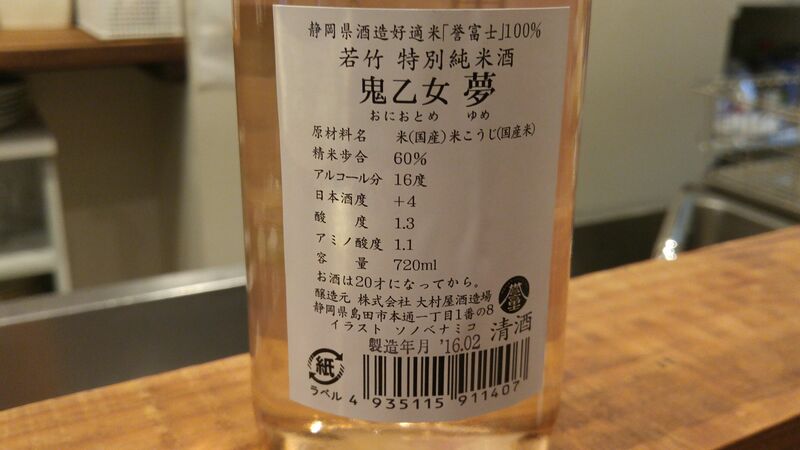 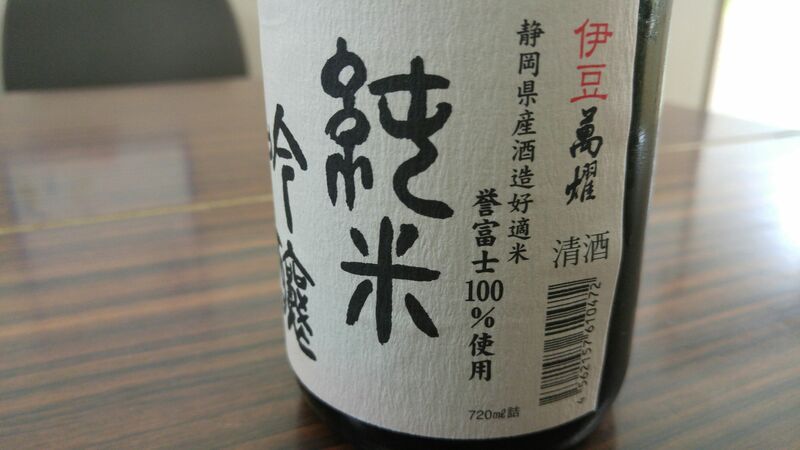 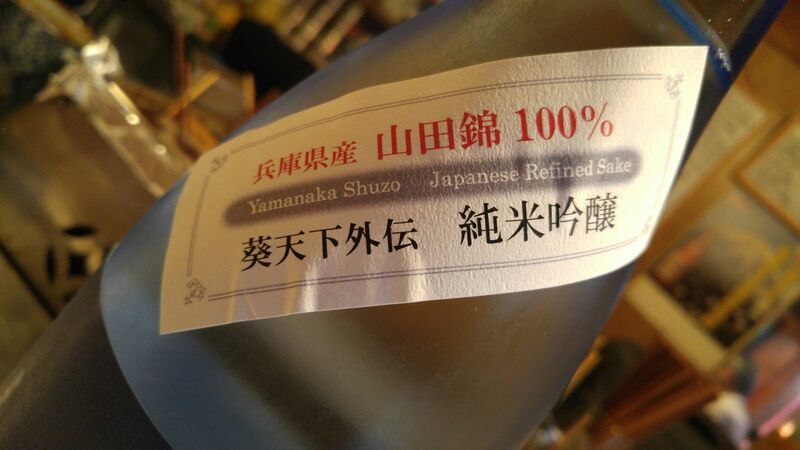 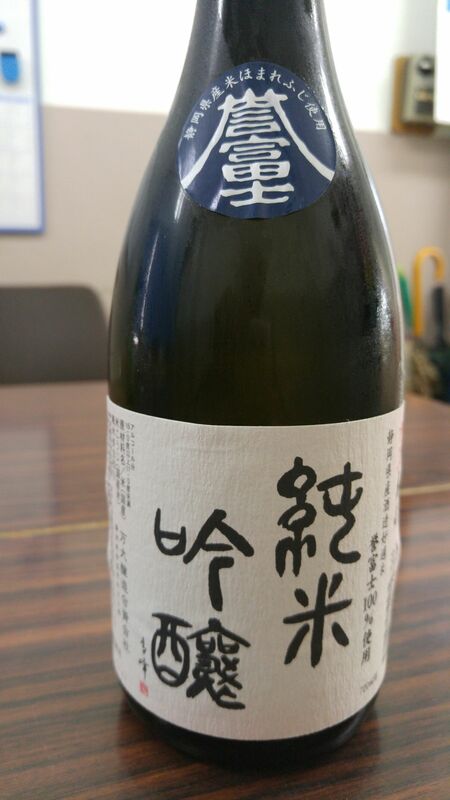 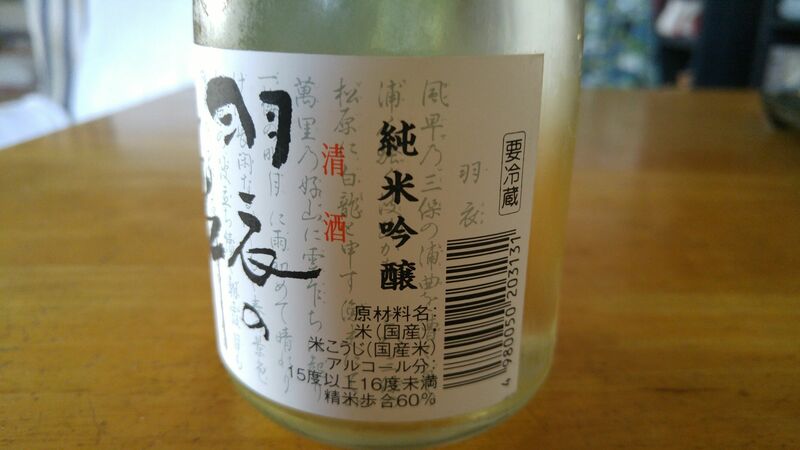 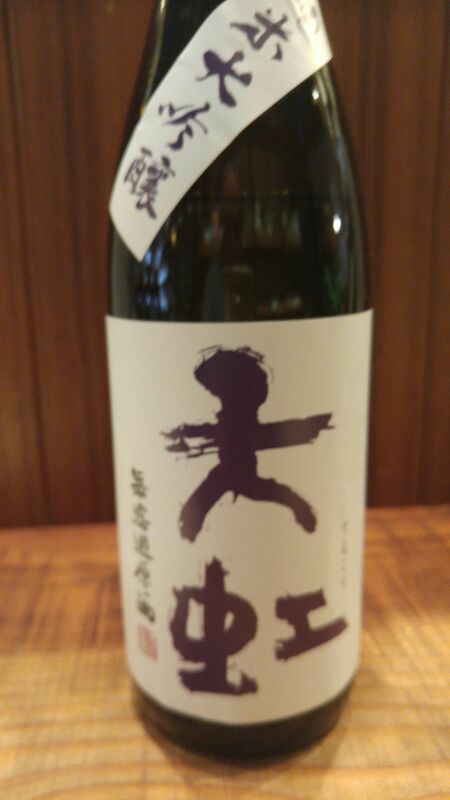 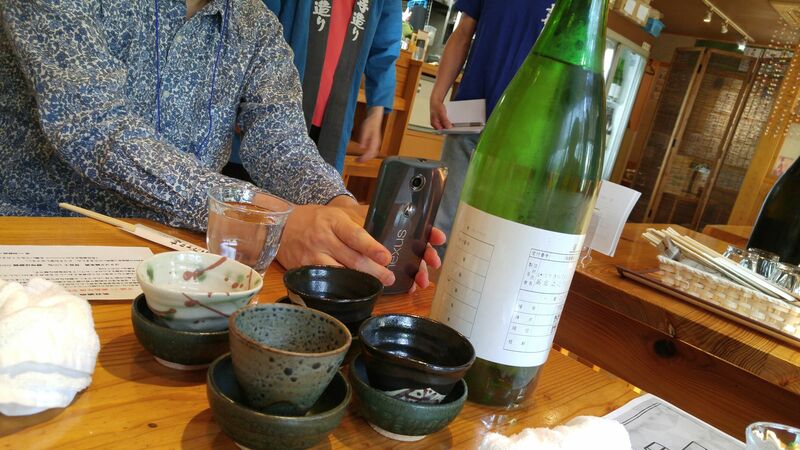 Overall: strong, solid, old fashioned sake untypical of Shizuoka Prefecture. 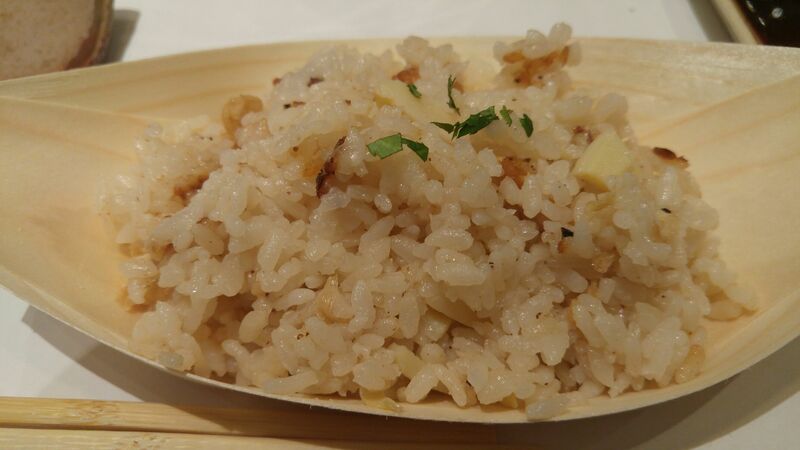 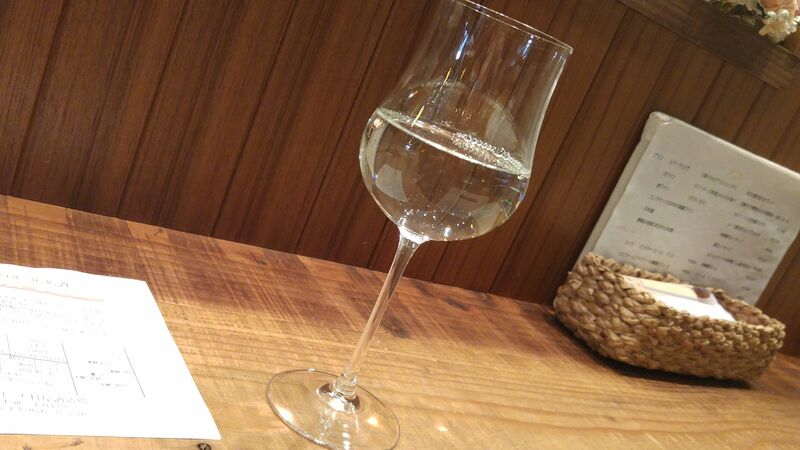 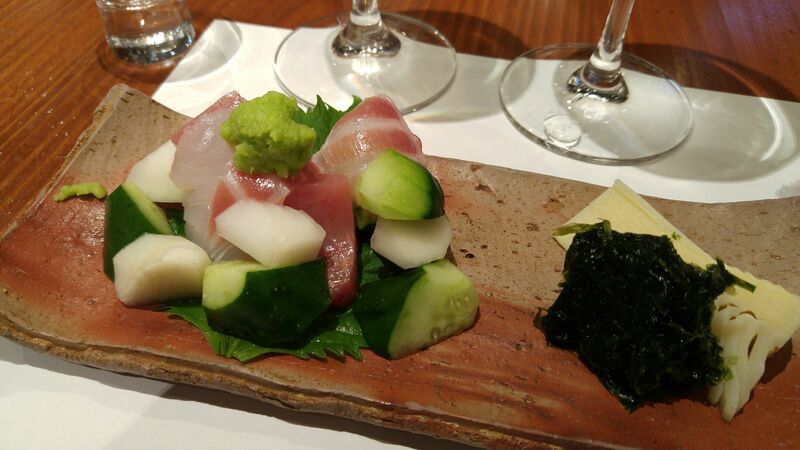 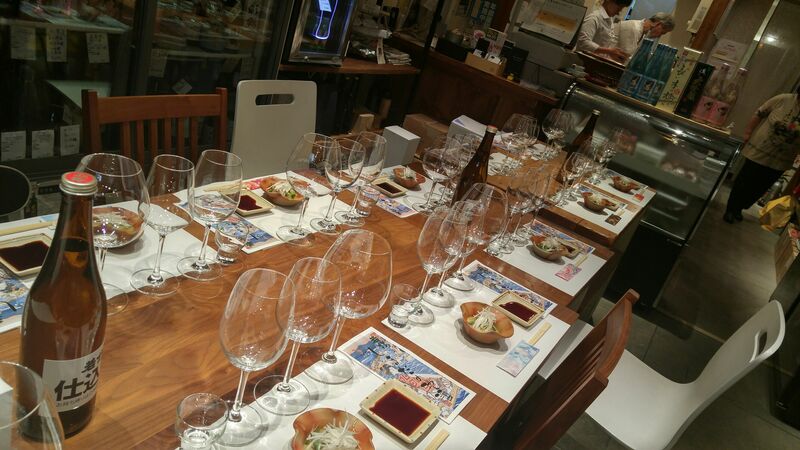 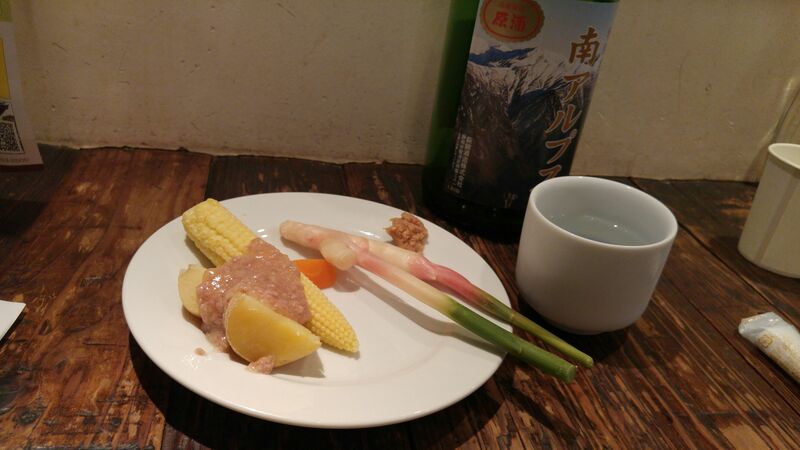 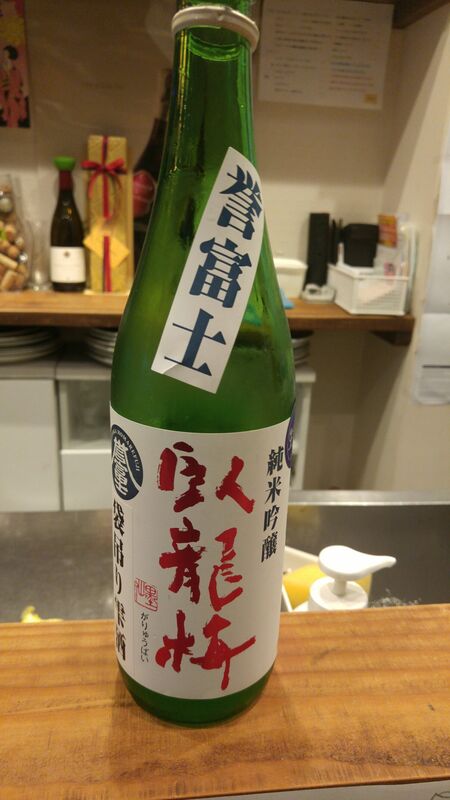 Obviously conceived to accompany food, especially heavy izakaya fare. 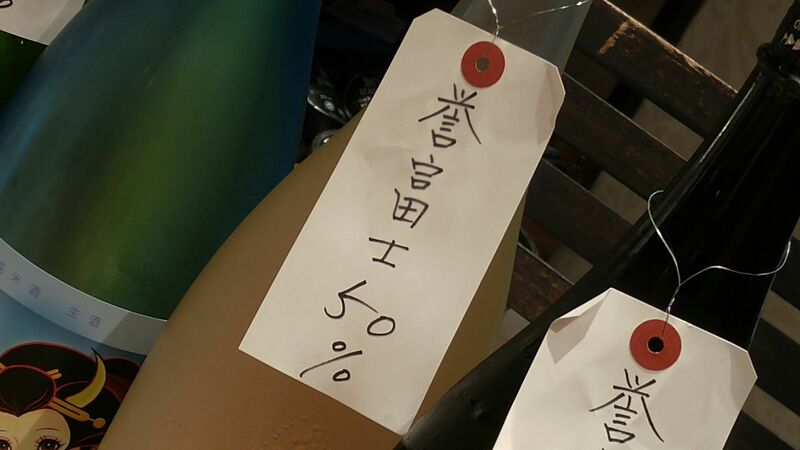 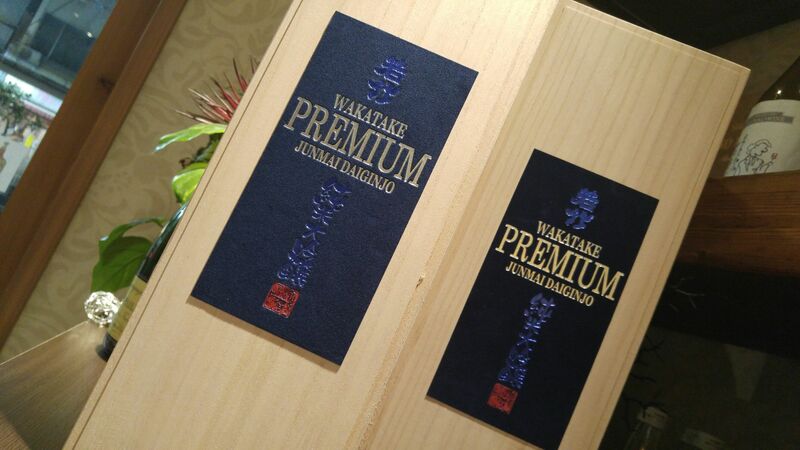 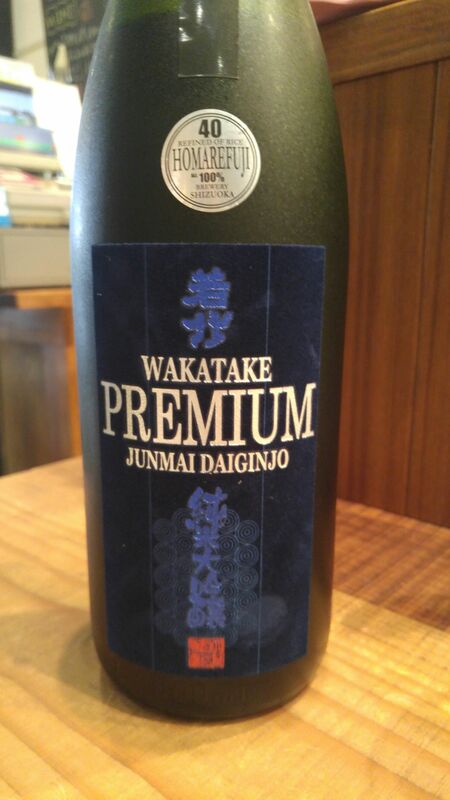 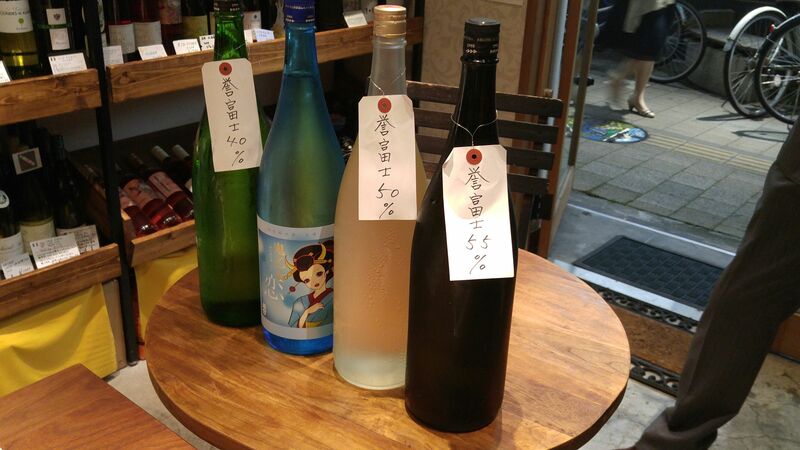 For traditional dry sake lovers! 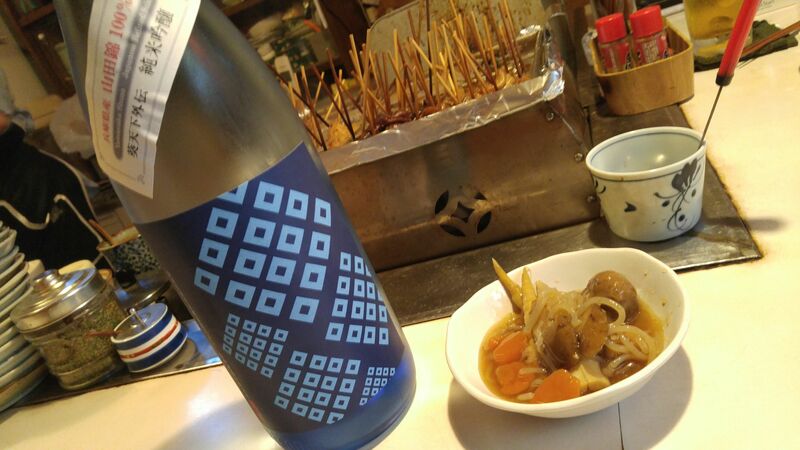 Suggested pairings: broiled meats, Nabe/Japanese pot-au-feu, BBQ, blue cheese. 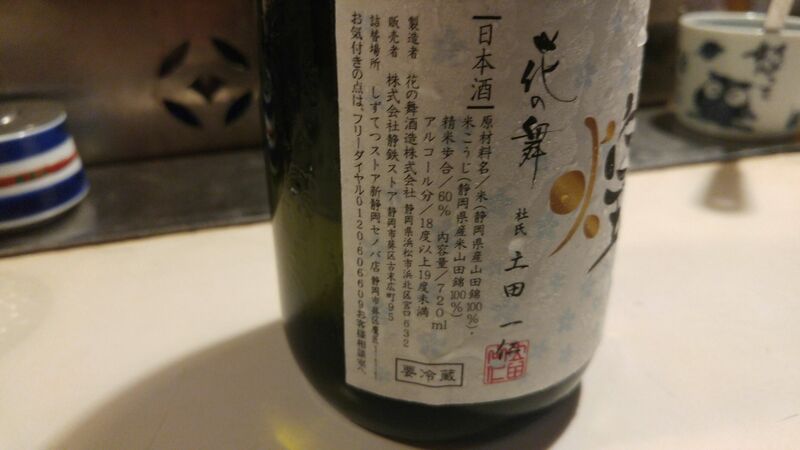 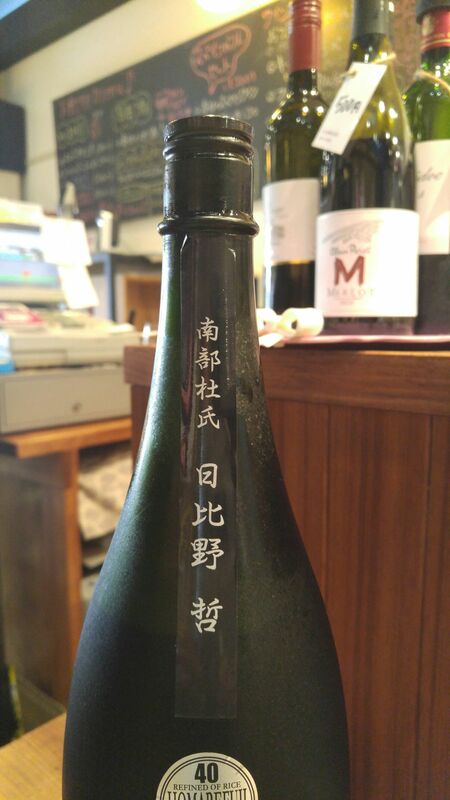 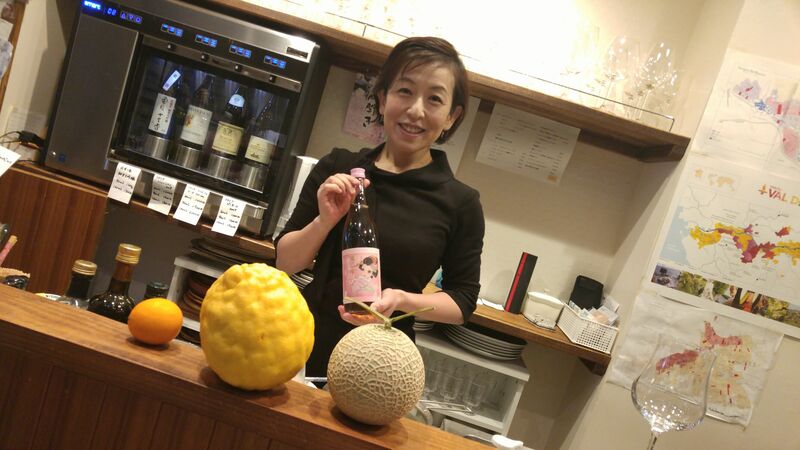 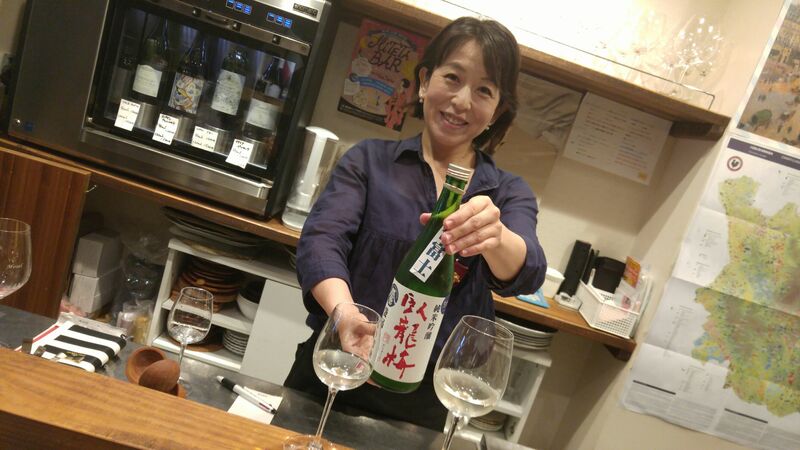 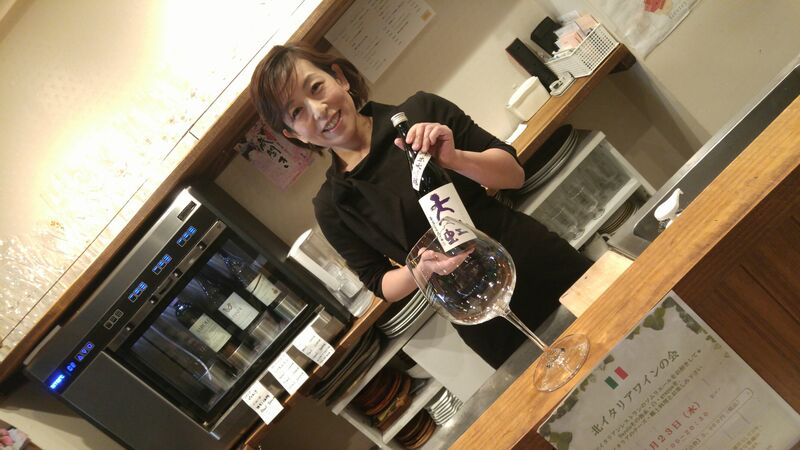 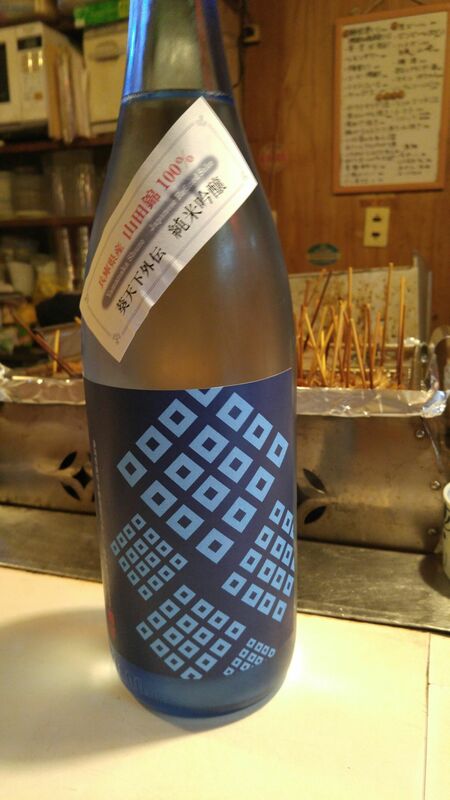 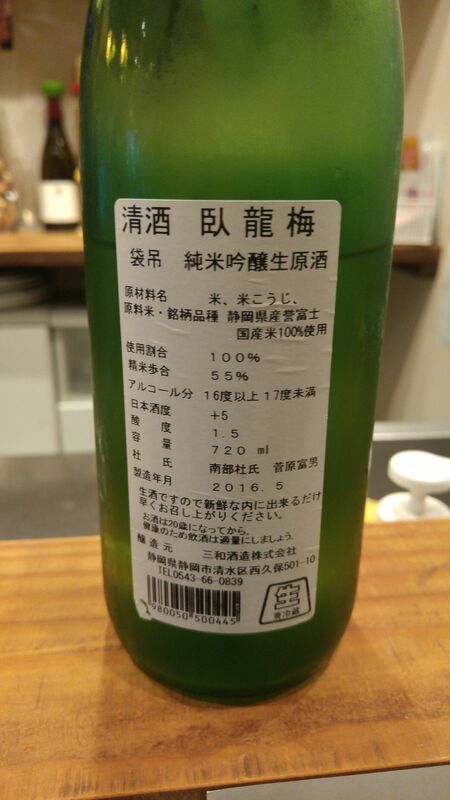 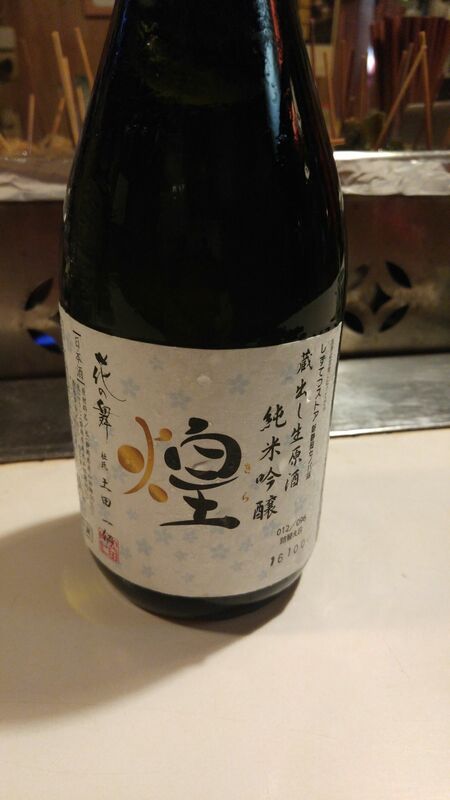 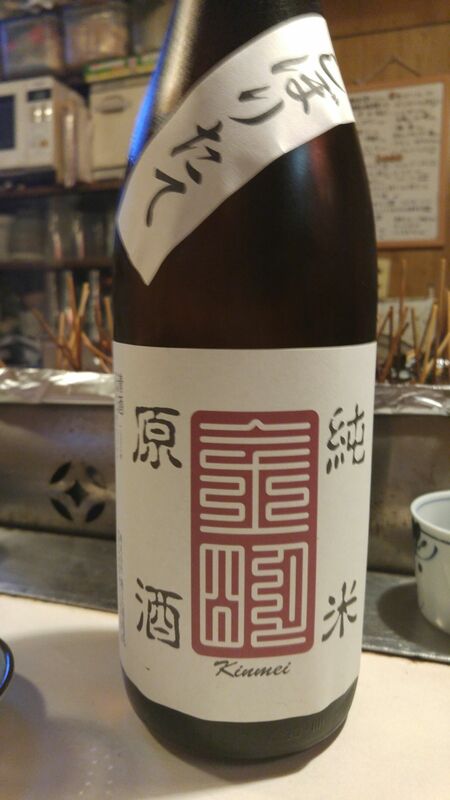 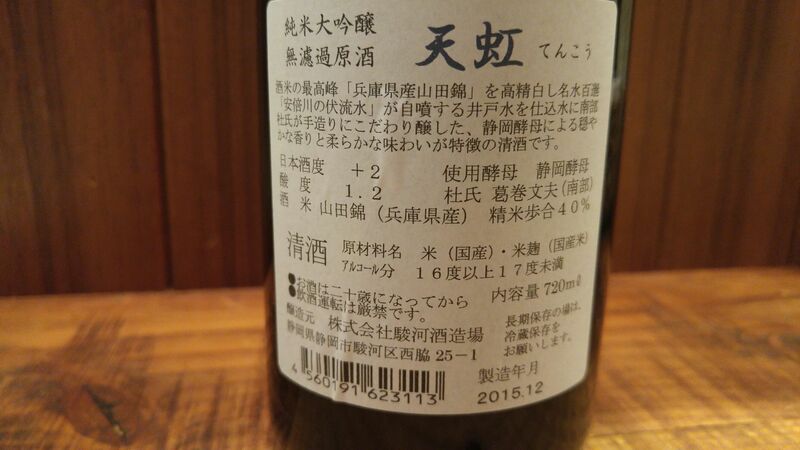 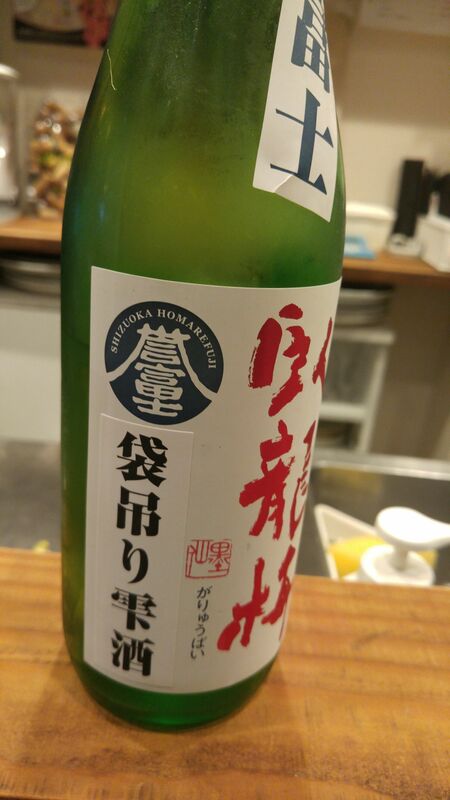 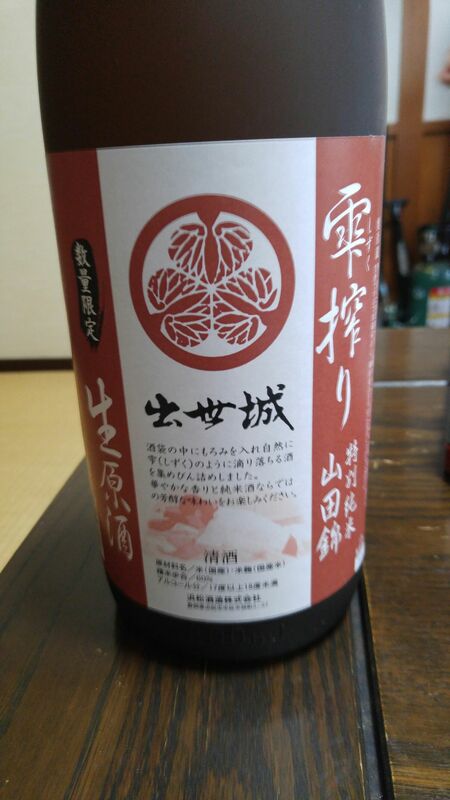 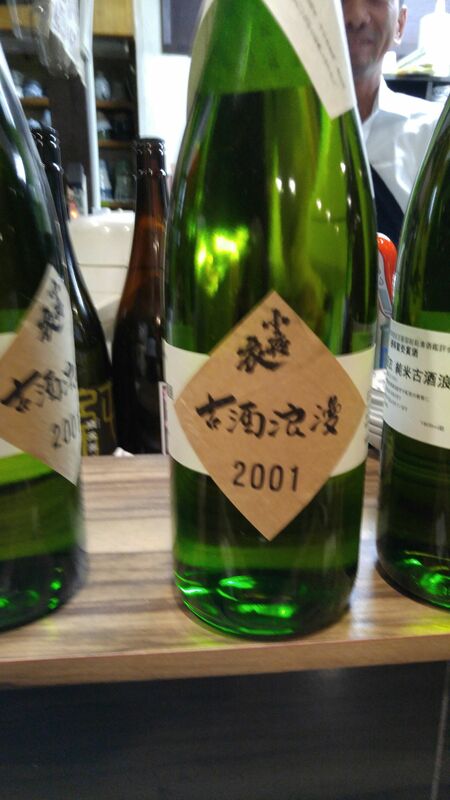 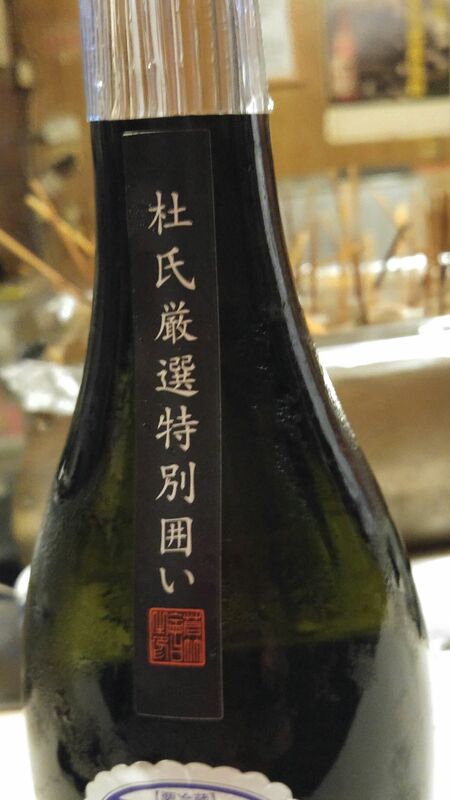 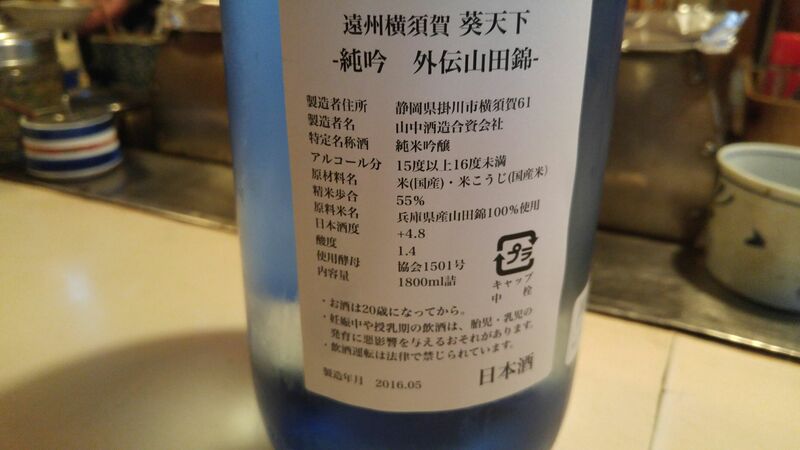 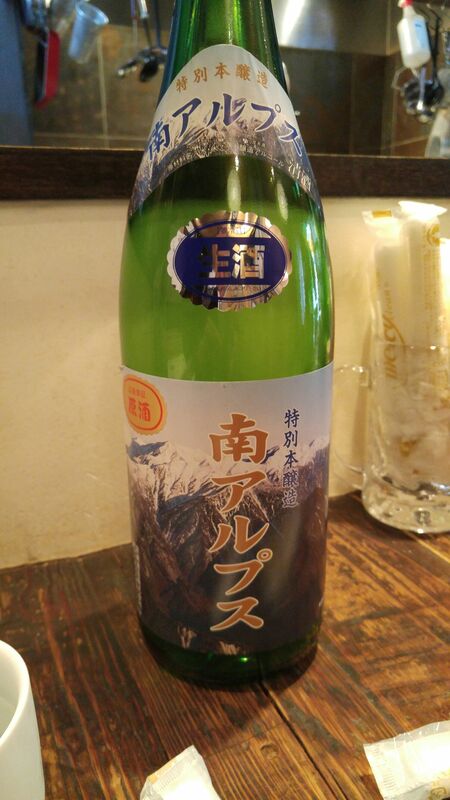 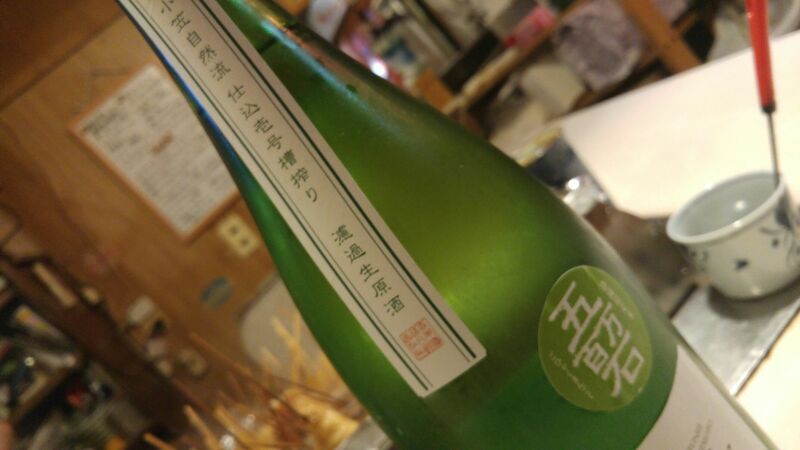 Last night when I paid a quick visit to my favorite oden bar in Shizuoka City, the Mama san showed this bottle she had just acquired at Tomitaya Sake Store in Shizuoka City! 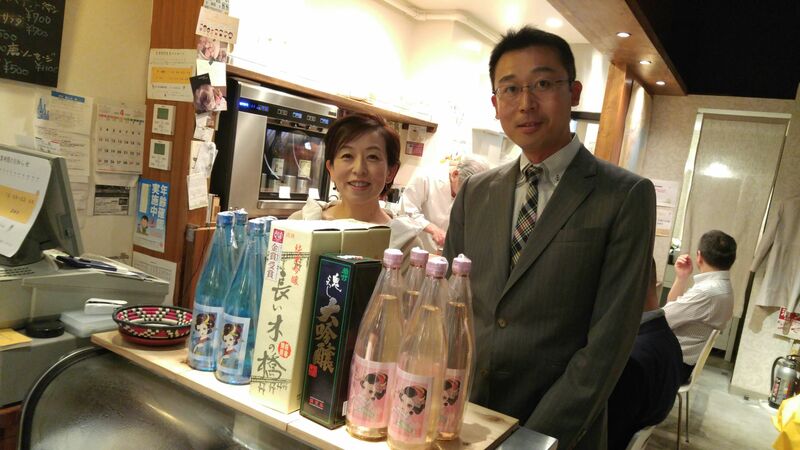 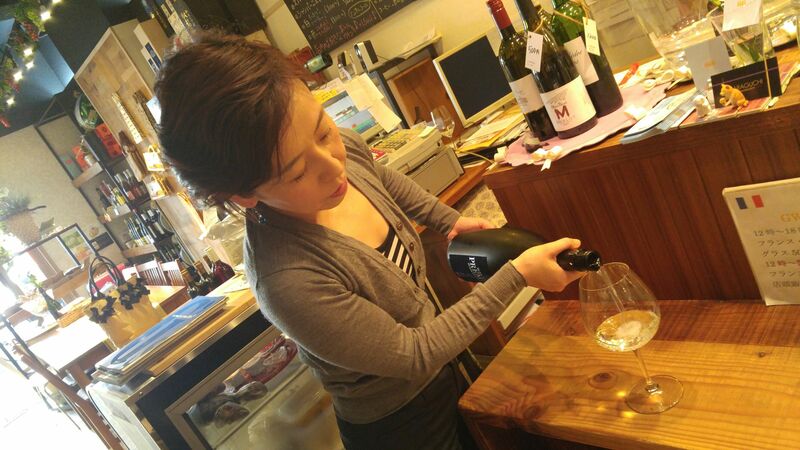 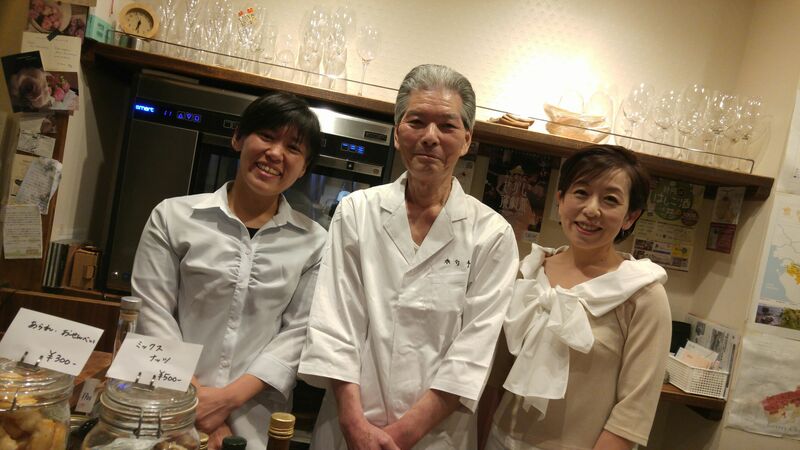 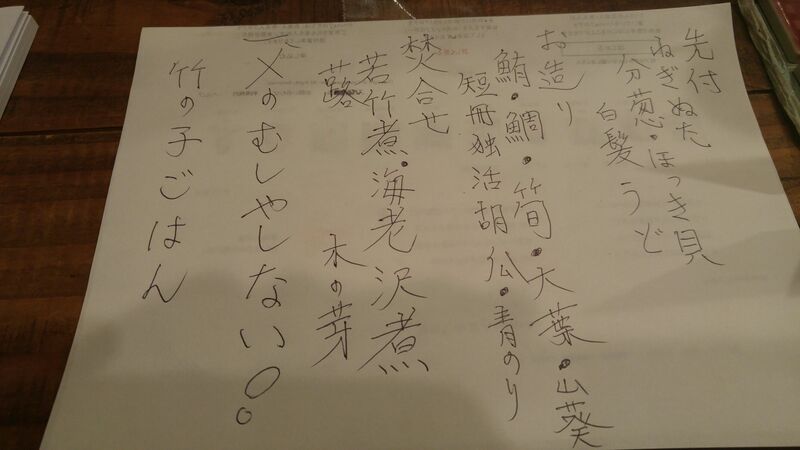 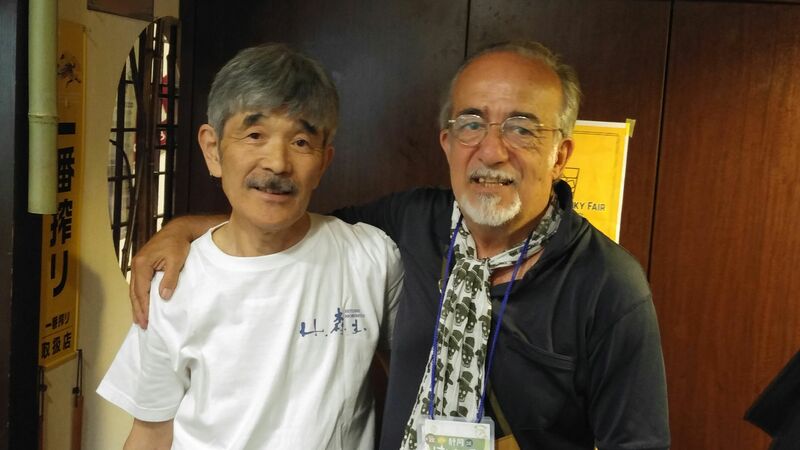 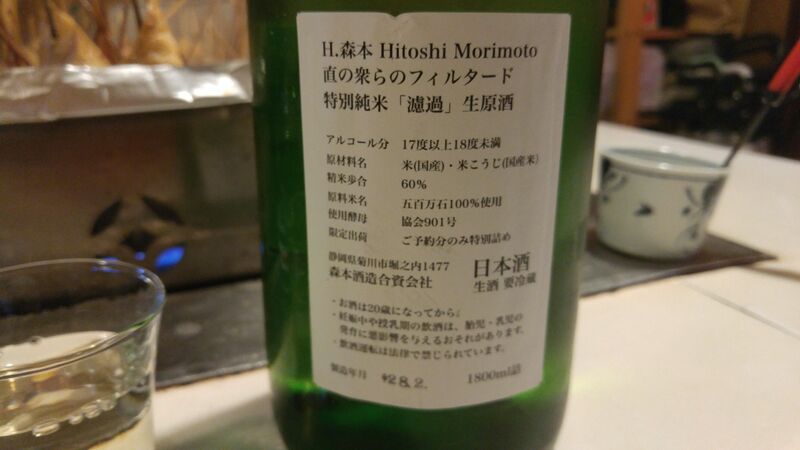 Great Brew Master Hitoshi Morimoto was having fun once again in Kikugawa City, in the central-Western part of Shizuoka Prefecture! 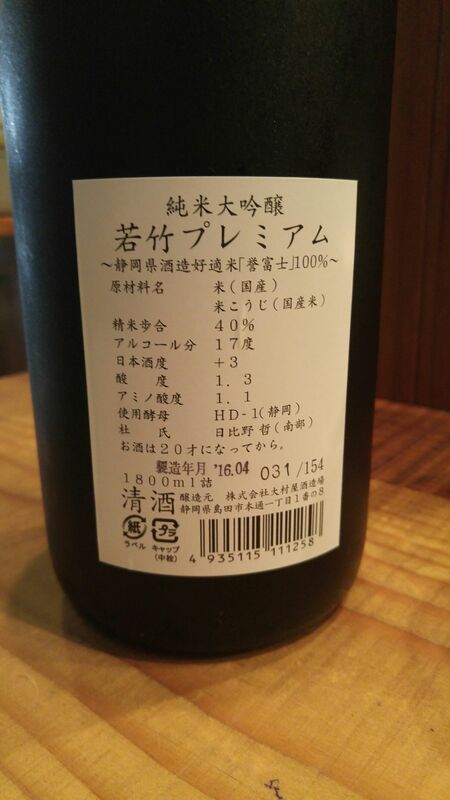 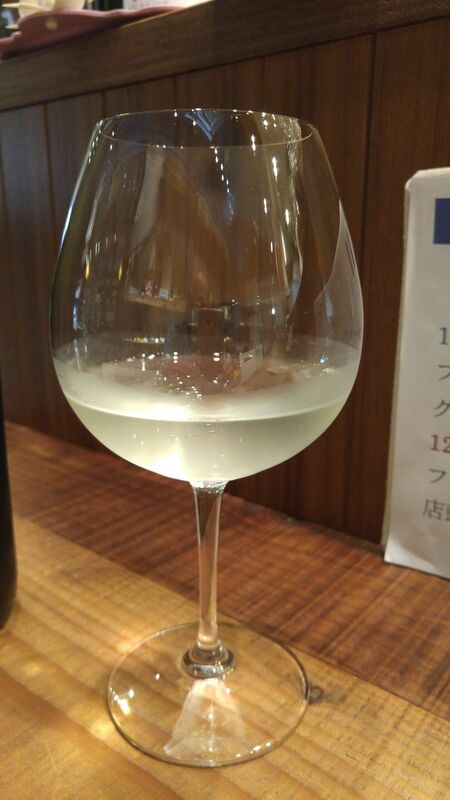 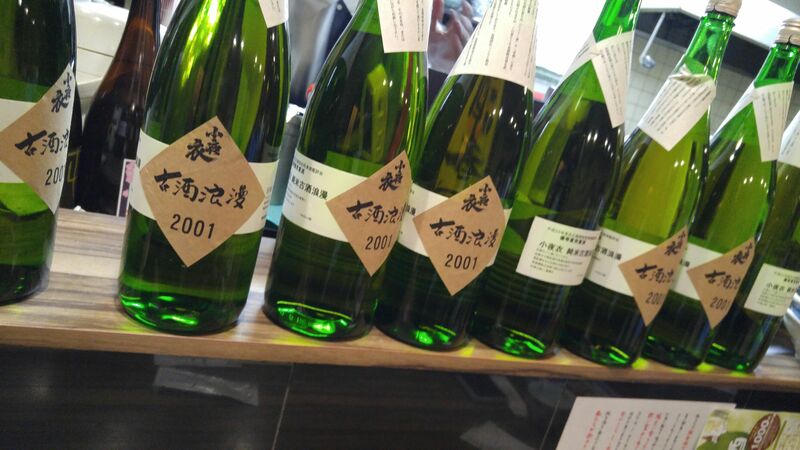 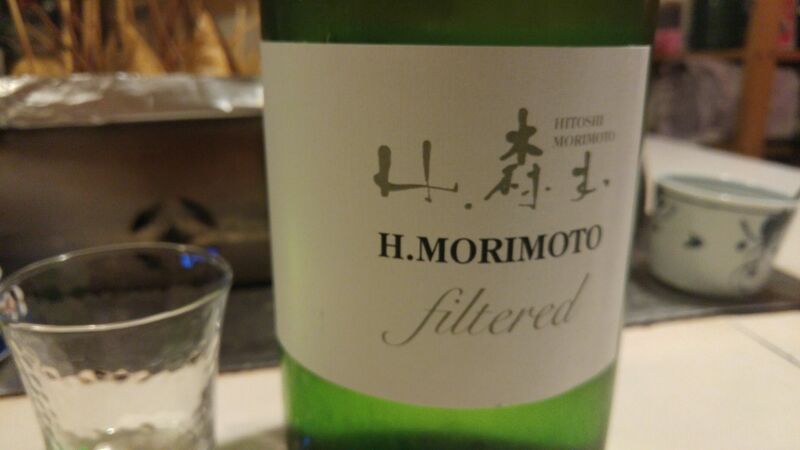 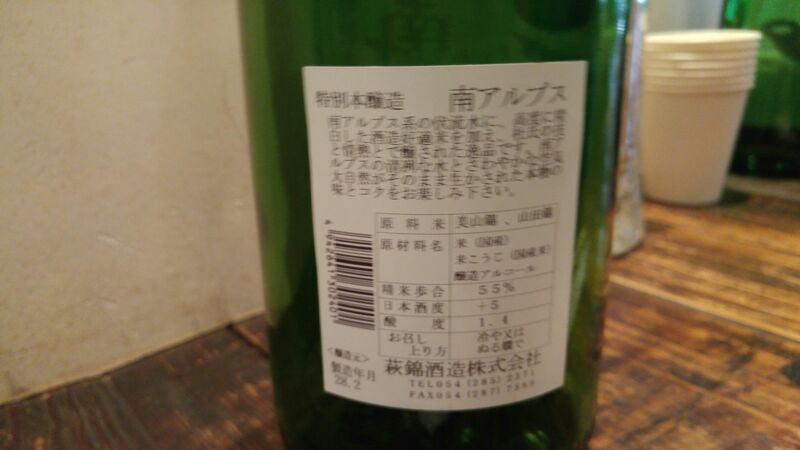 The name was just his as he called it H. Morimoto Filtered (in English) for this Tokubetsu Junmai (no pure alcohol blended in) Nama (unpasteurized) genshu (no pure water blended in)! 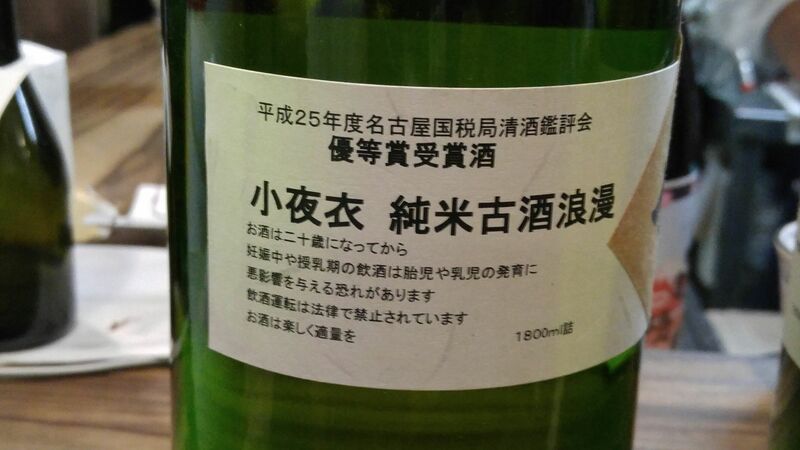 Incidentally, it is a very limited edition! 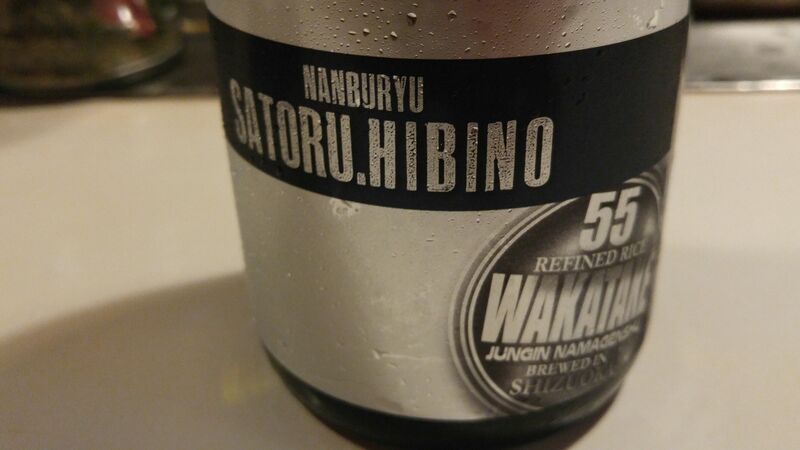 Taste: very fruity, sweetish attack backed up with puissant junmai petillant. 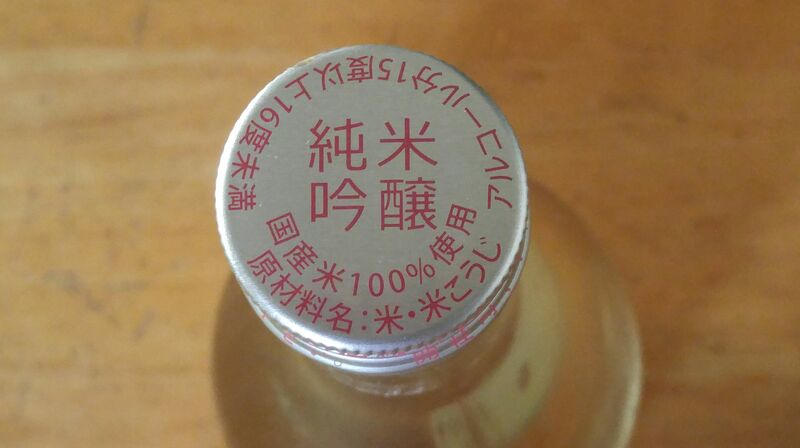 Complex: apples, plums, apricots, sweet pears. 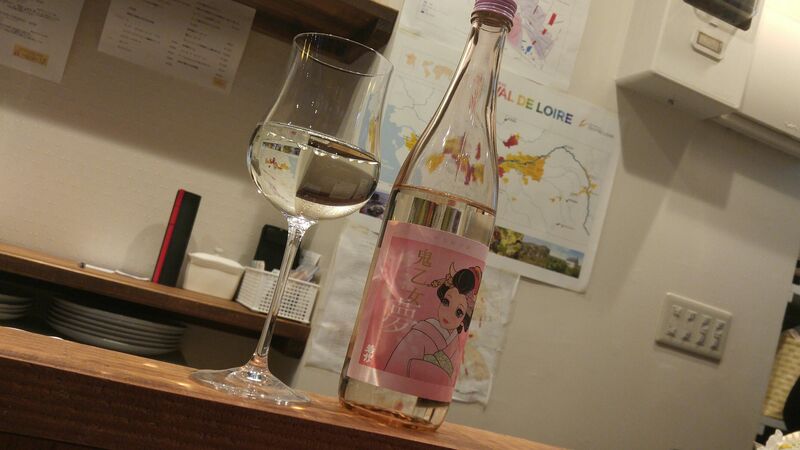 Lingers for a while before departing on sweet, fruity and flowery notes and oranges. 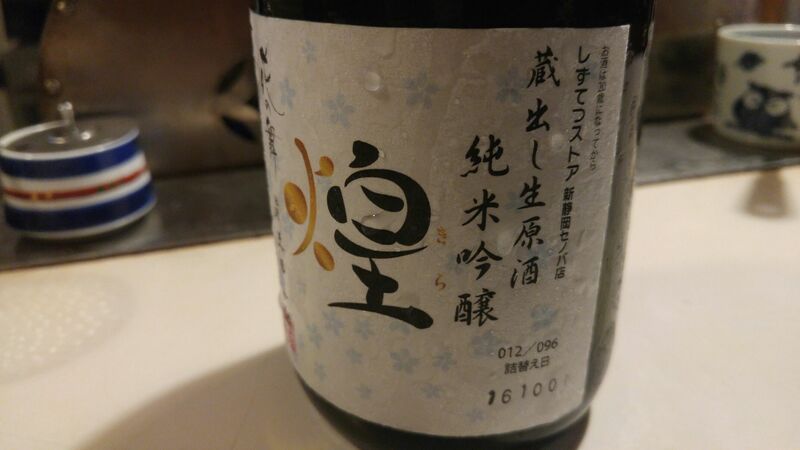 No acidity whatsoever but the sweetness is not cloying at all. 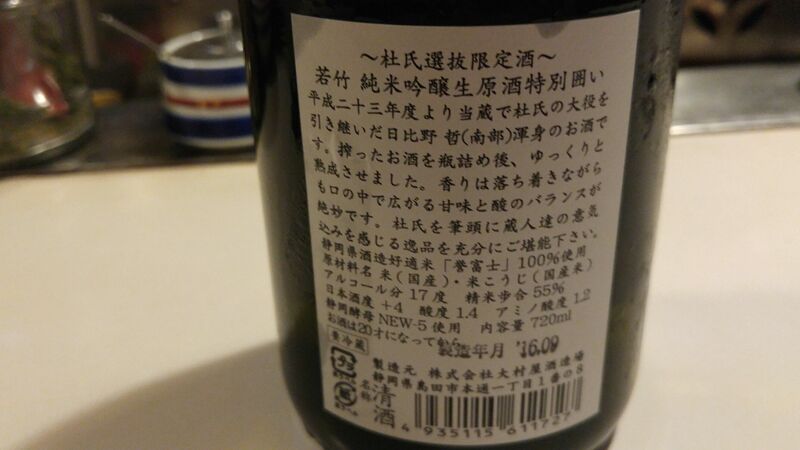 Overall: a very fruity and flowery nectar! 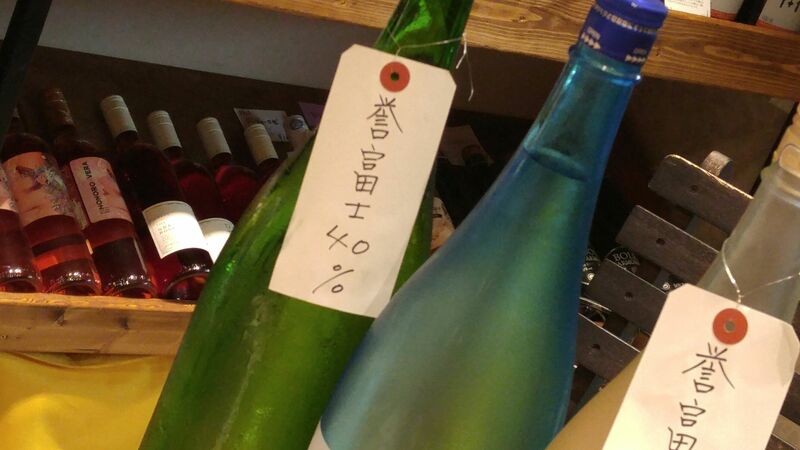 Very unusual concept in Shizuoka prefecture where the great majority of sake are dry. 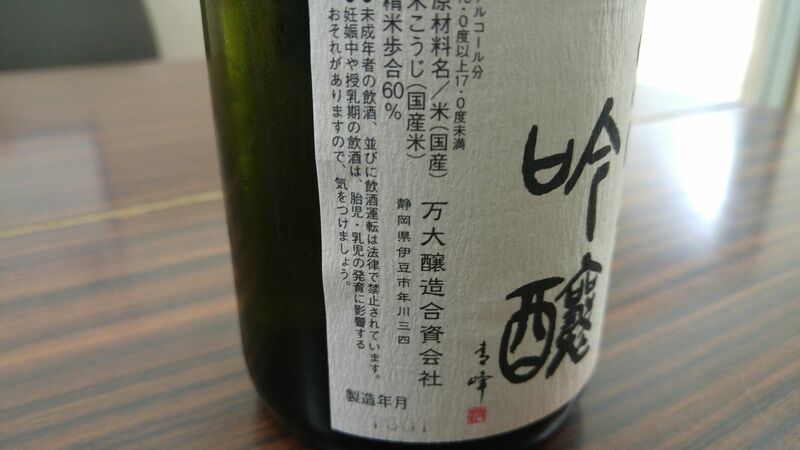 Very deep and complex with ever-changing facets surging up. 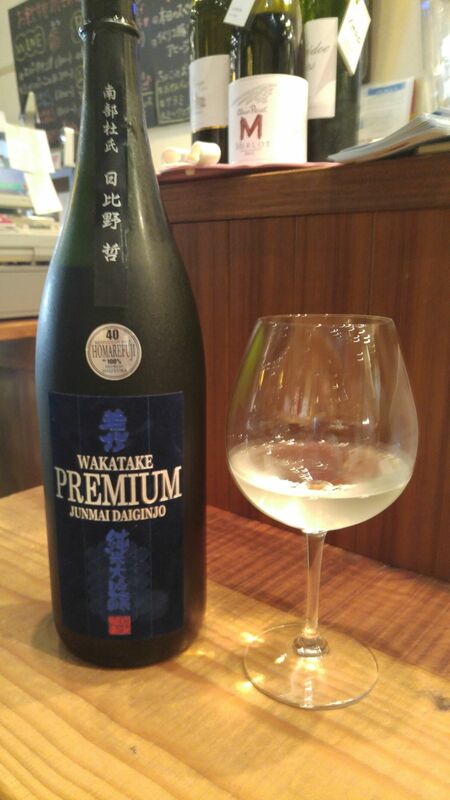 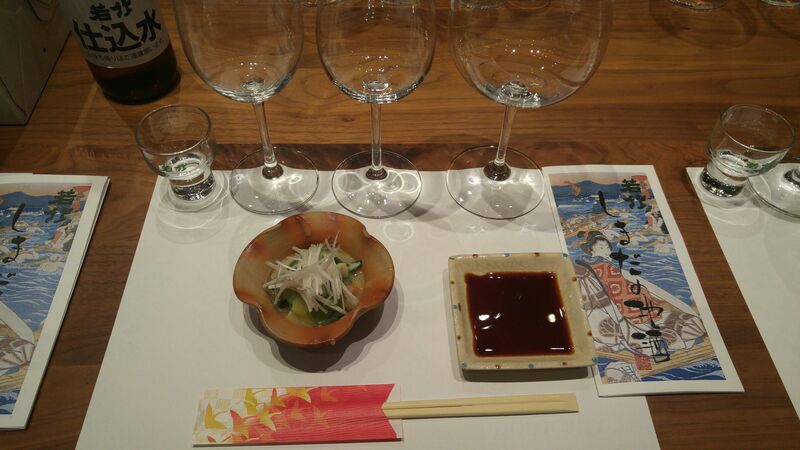 A sake best enjoyed on its own although could definitely be savored in the place of a dessert wine. 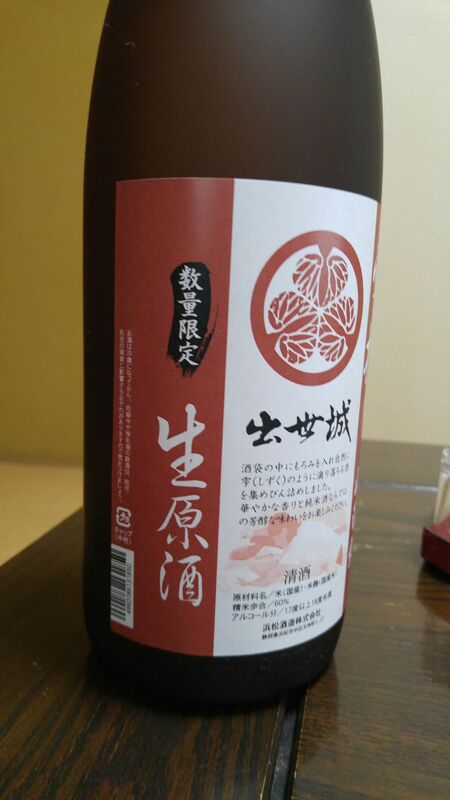 A last liqueur for the road, but one easy on the body and soul! 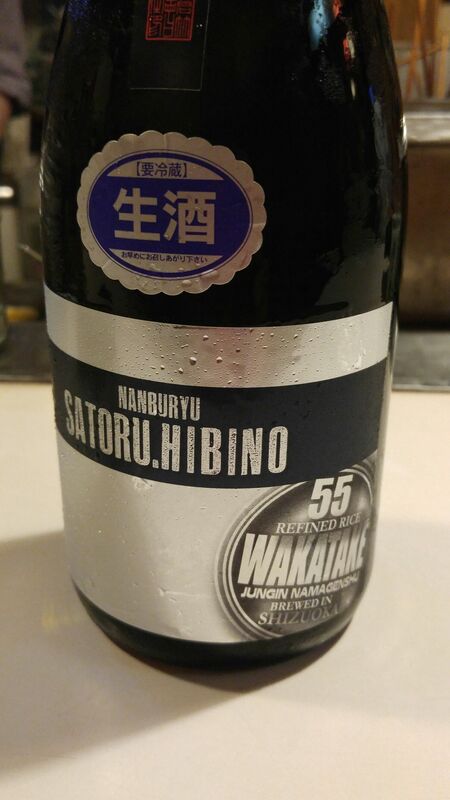 Suggested pairings: Chocolate, blue cheese. 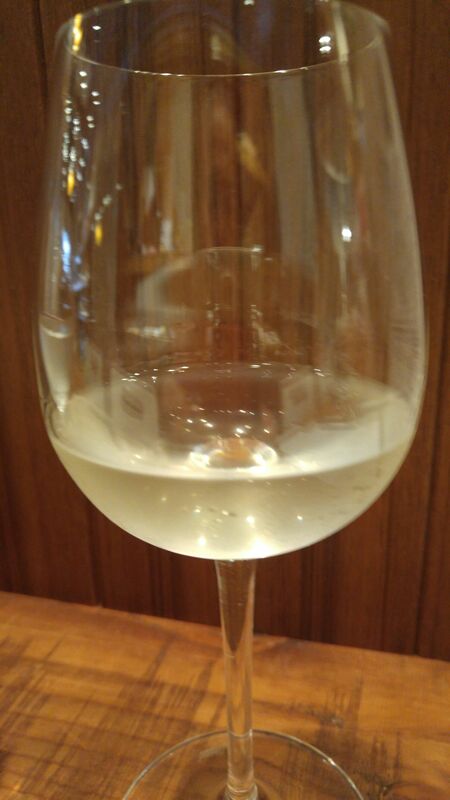 Lingers on for a short while before departing on a slightly drier note of custrad, oranges and faint almonds.